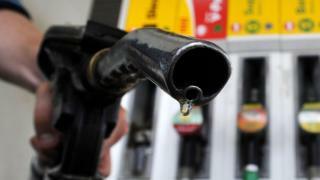 Global oil consumption is likely to peak in the late 2030s according to a forecast published by BP. The world currently consumes around 100 million barrels per day and BP estimates that number will go up by another 10% before levelling off. It expects renewable energy to be the fastest growing fuel source, increasing five-fold by 2040. BP forecasts that more than 40% of the overall increase in energy demand will be met by renewable forms of power. The oil company also said that greater efficiency in transportation would curb oil demand. BP also estimated that oil output of 85 million barrels per day would satisfy the Paris Agreement on climate change. The agreement pledges to keep global temperatures well below 2C above pre-industrial times and "endeavour to limit" them even more, to 1.5C. But BP expects carbon emissions to rise 10% by 2040 - meeting it will fail to meet the Paris agreement on this measure. The 197 countries that signed up to the agreement in May last year pledged to decrease emissions as soon as possible. The finding prompted BP chief executive Bob Dudley to call for a "far more decisive break from the past" to deal with the reality of tackling rising carbon emissions. Speaking to the BBC, BP's chief economist Spencer Dale said demand will continue to rise in emerging economies over the next two decades. India will overtake China as the fastest growing market in energy consumption in the next 15 years. Both economies together will comprise around half of global energy growth by 2040. China's coal consumption has likely plateaued, as the country moves from a manufacturing to a services-based economy. It is the world's largest user of coal.